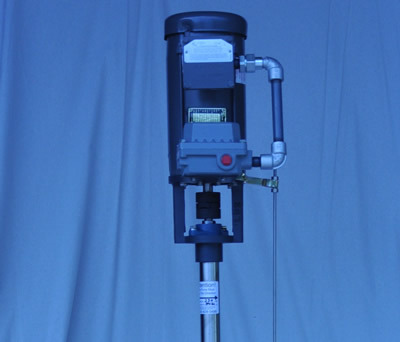 These rugged, automatic, heavy-duty sump pumps are used extensively in the chemical industry, and in the basements of industrial plants where large quantities of water or chemicals must be relocated or disposed of at high heads. The liquid is "screened" over the top of the base, a feature which adds to greater pumping efficiency and allows heavy solids to settle on the sump floor instead of being drawn into the impeller. This avoids damage to the impeller, bearings, and the shaft. Neptune heavy duty sump pumps are made in various lengths and of special stainless steel alloys. They can also be equipped with air motor, explosion proof drives and switches. Capacities to 150 gallons per minute, and heads up to 50 feet.